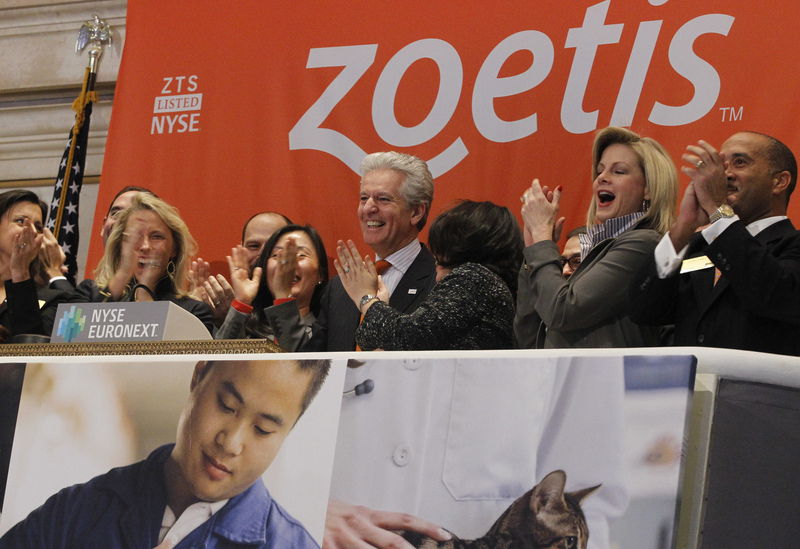 Zoetis CEO Juan Ramon Alaix (C) rings the opening bell with company executives in celebration of his company's IPO at the New York Stock Exchange, February 1, 2013. Zoetis said on May 16 that it has agreed to buy Abaxis for about $2 billion in cash. At $83 a share, the price represents a 16 percent premium to the animal diagnostics firm’s closing price on May 15.